“Reflect” is an illuminated sculpture that demonstrates how a combination of architectural design and precision engineering can result in a beautiful artwork that appears to have been created almost effortlessly. 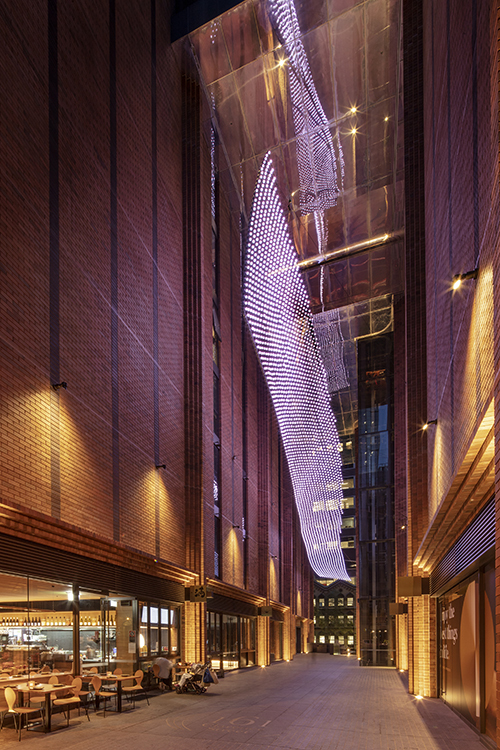 The 12m high light sculpture stretches across the atrium of Arc by Crown – a 25-storey premium apartment building in Clarence Street that combines both heritage and modern elements. It also forms part of the refurbishment of historic Skittle Lane – built in the 1800s and now hosting restaurants and retail outlets. 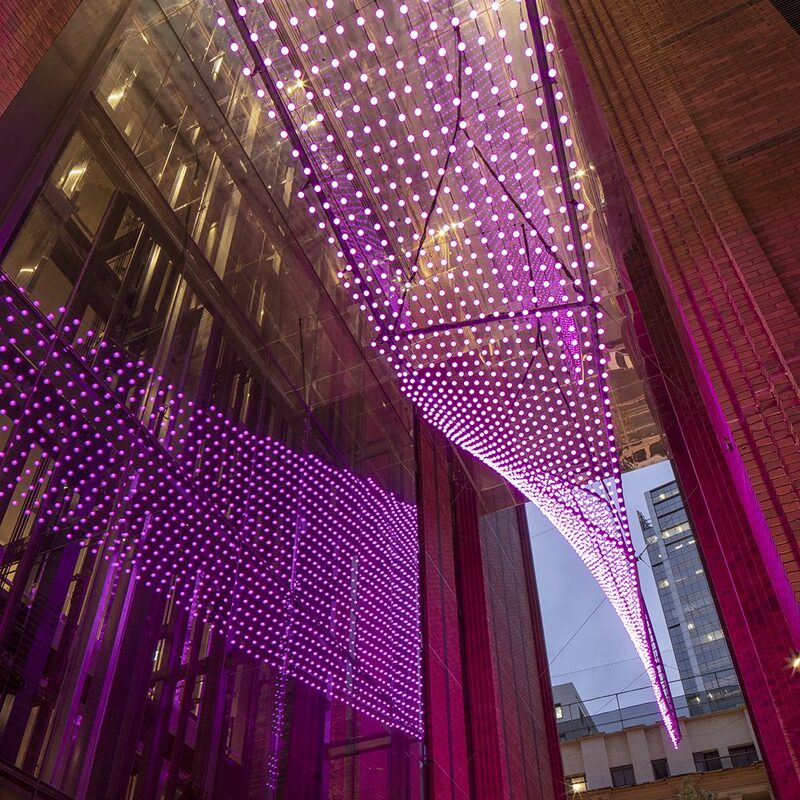 The art installation was designed by art creators Ramus Illumination and comprises 2,200 led lights from Xenian light specialists. Tensile’s role involved design development, engineering, supply and installation. 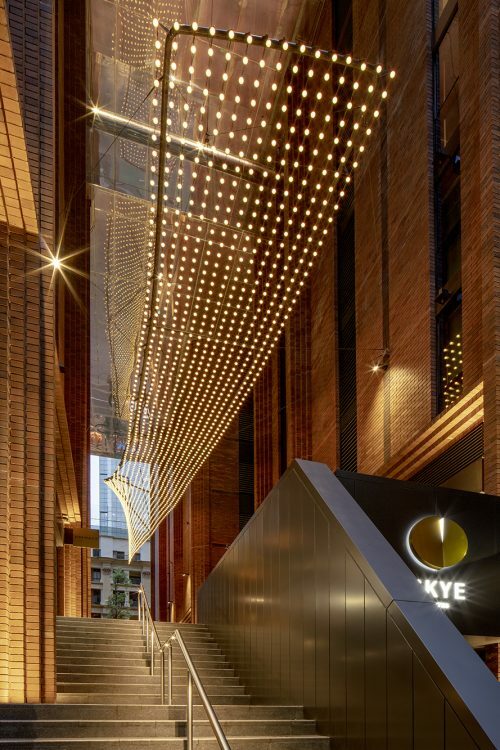 This included looking after the electrical works and structural elements as well as sourcing the custom-designed light fittings. Ramus Illuminations seeks to create and design works that reflect the quality of light and movement in the surrounding environment. 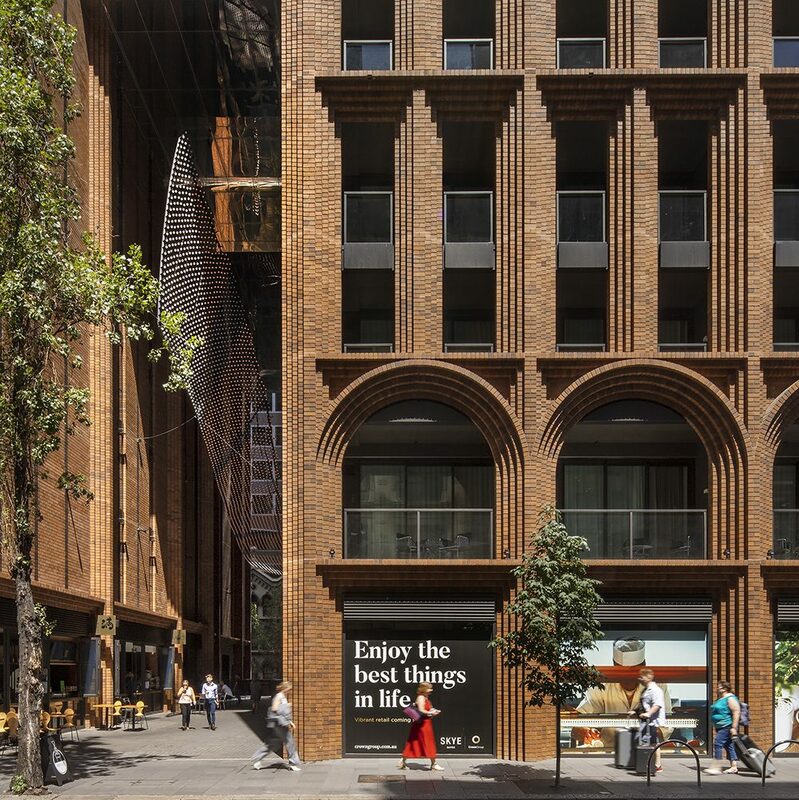 This meant that our brief was to ensure the structure detail was as minimal as possible to facilitate the sculpture’s appearance of floating at night, and then diminishing into the shadows in the daytime. Overall the piece is 7m x 32m and weighs 1.2 tonnes – which is relatively light in weight considering its size. 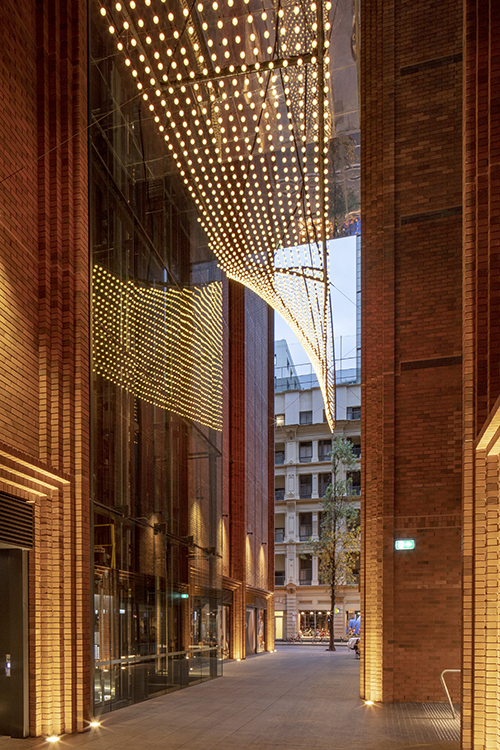 As well as the thousands of coloured LED lights and sensors it comprises a central tube frame that houses 4mm stainless-steel cable net, which is stretched into a curved form. 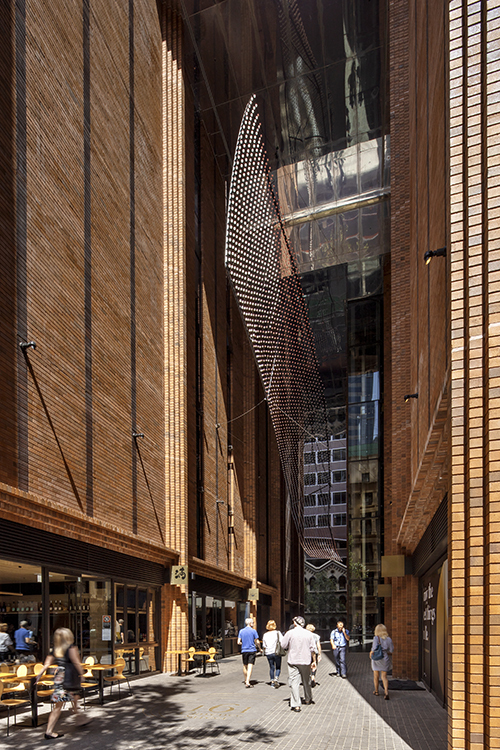 A series of 6mm cables have also been used to suspend the piece from the building. This was quite a challenging project in the sense of keeping the detailing minimal and fitting a large piece into a relatively tight space. 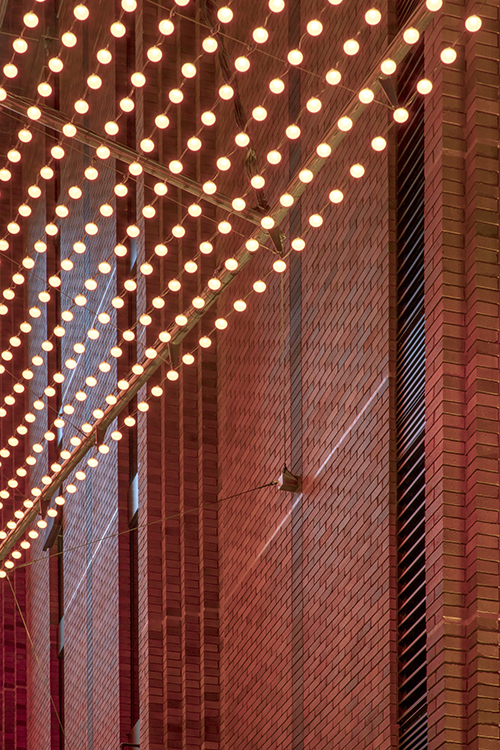 The finished result is an illuminated artwork that appears to organically float above the space, subtly changing as it reflects and responds to the movement and sound from people below. 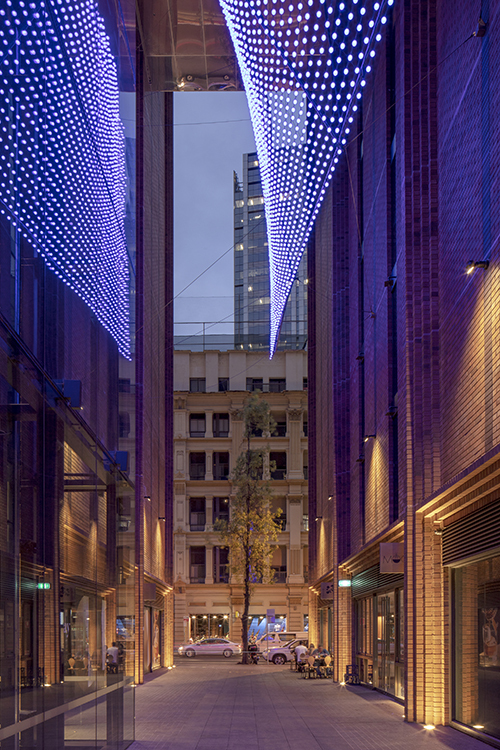 Tensile is proud to have been invited to collaborate on such a unique and beautiful installation that enhances not only the Arc building, but beautifully illuminates the revitalised laneway.